5-HTP (L-5-Hydroxytryptophan) is an intermediate in the natural conversion of the essential amino acid, tryptophan, to serotonin. 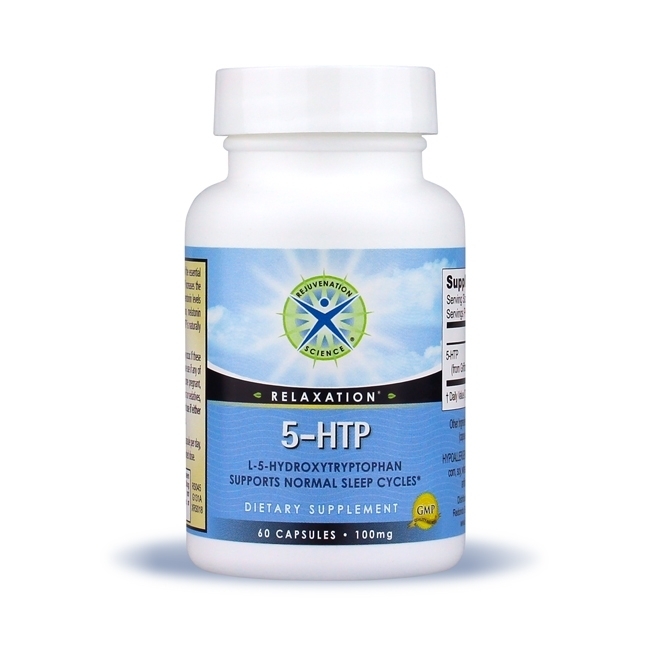 Clinical studies have shown that 5-HTP increases the amount and availability of serotonin produced by the body. Increased brain serotonin levels may produce positive effects on emotional well-being, appetite regulation, melatonin production and maintaining a healthy sleep cycle. * Rejuvenation Science® 5-HTP is naturally derived from seeds of the African plant Griffonia simplicifolia.